Get a free daily quote at your desired time. 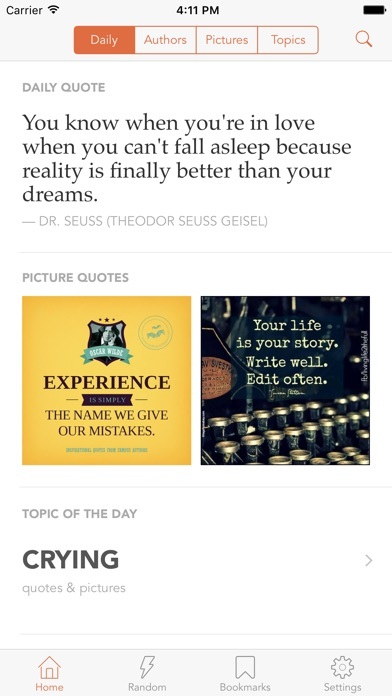 Explore, bookmark and share quotes, sayings and pictures by famous authors. * Daily Quotes received on your home screen at the right time. 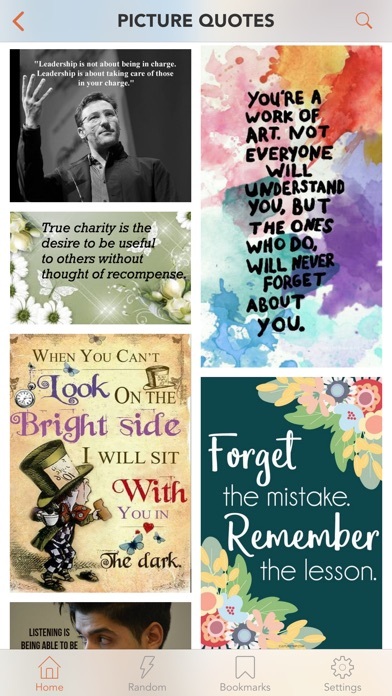 * Explore 174000+ Quotes, Sayings, Proverbs and Quotations from 19000+ of world famous authors. * Save quotes and use them as wallpapers, lock screen images or send to friends. * Browse 5000+ Topics full of inspirational text and picture quotes. * iMessage app extension allowing you to send interactive quotes as messages. * Thousands of picture quotes about Love, Hope, Success, Advice, Blame, Feelings and much more. 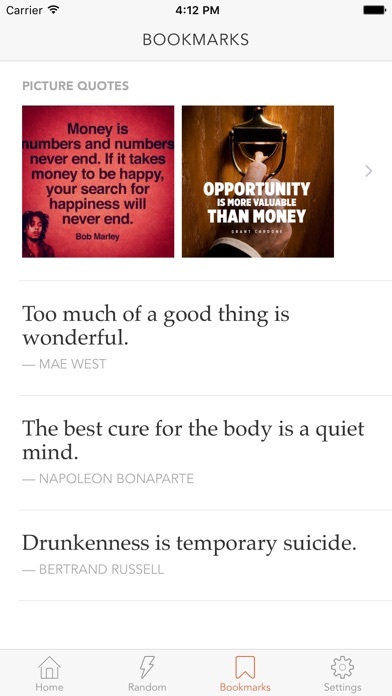 * Bookmark your favorite text quotes and image quotes for later reading. 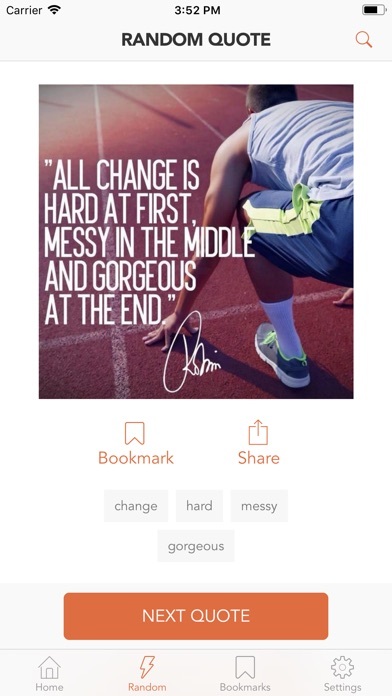 * Sign in with Twitter, Facebook or email to keep your Bookmarks archived and synced with quotes you like from Quotlr.com. * Random Quote helps you discover great motivational quotes and image quotes. * Search extensive quotes collection by author, topic or quote text. 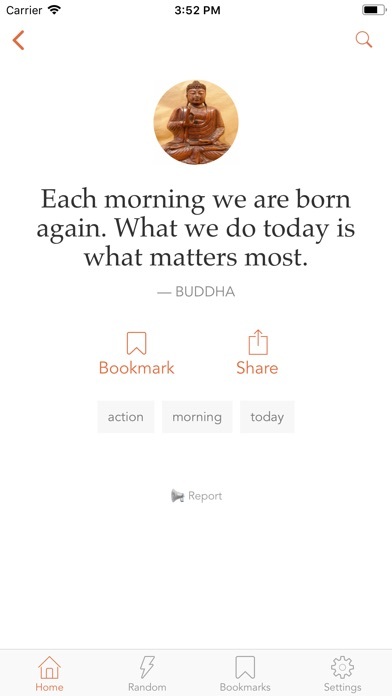 * Share your bookmarked list with quotes. 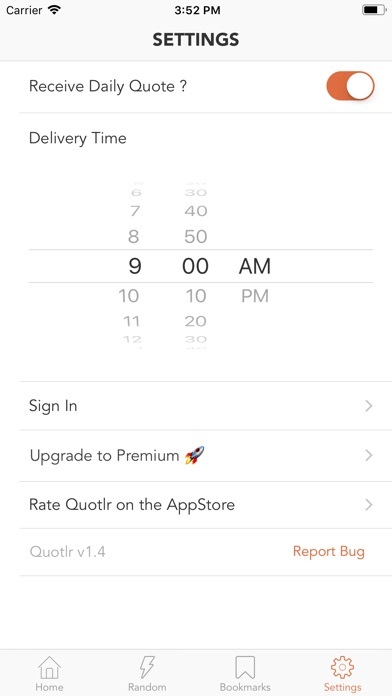 * Apple Watch app for fast daily quotes spike on your wrist.